Royalty Tours USA: Royalty sees Tim Parks, Founder of the MLB Ballparks Passport Program at All-Star Fan Fest in NYC! 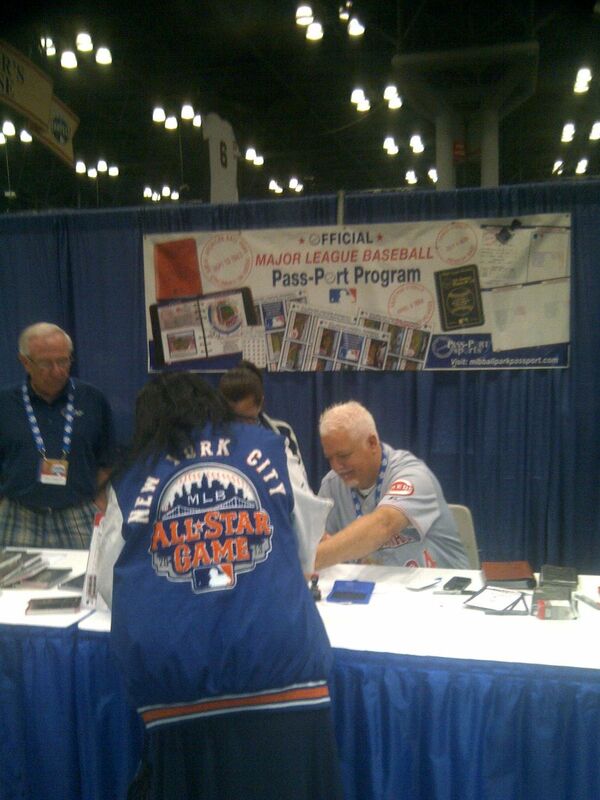 Royalty sees Tim Parks, Founder of the MLB Ballparks Passport Program at All-Star Fan Fest in NYC! Back on Sunday July 7th when the King and our pal Dave Block from San Diego were in Cincinnati at Great American Ballpark for the Reds and Mariners, we met up with Tim Parks, the founder of a unique program that started in 2012. Tim came up with a clever idea when he was traveling with his family back in 2009. He decided that when someone goes to another country they get their passport stamped/validated to show they were physically there. With that being said, he decided to come up with something similar when someone goes to see a live major league baseball game. As a result, he came up with an idea that can bridge the gap from generation to generation. He designed a compact book that's made out of leather & looks like a photo album from back in the day. On the inside, there's a loose leaf binder which opens up so you can take the pages in & out easily. You can also add new pages as new ballparks go up down the road. 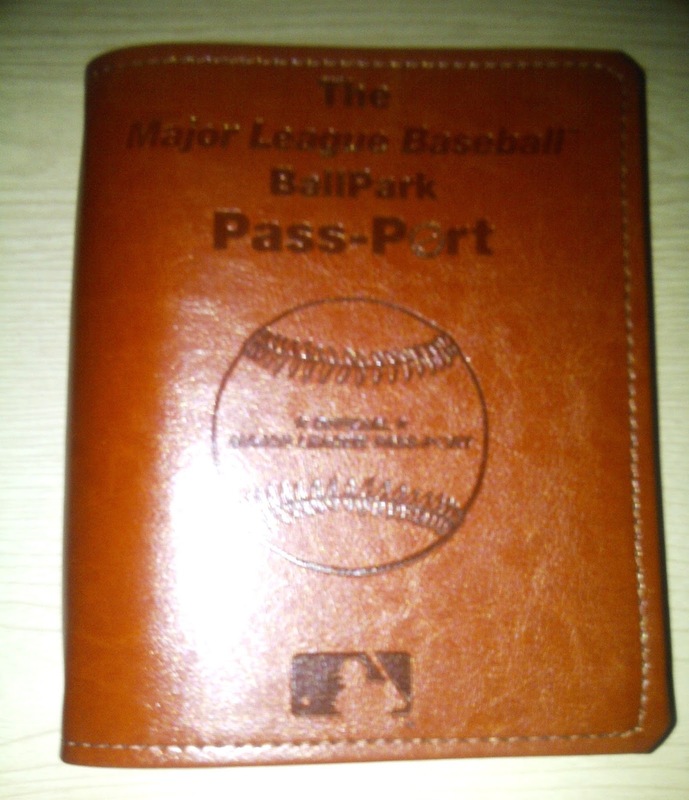 These pages consist of a brief description of each team/stadium, a space for your official stamp/validation, a seating diagram where you can place the "I sat here" stickers that come with the book, you also get a set of ballpark stadium stickers that give a high resolution image so you can take a look back, there's also a ticket stub holder for you to keep your paper proof intact, as well as an area to write in pertinent details of the game you attended and a page where you can add notes from your experience. They will serve as a memory for you when you look back and/or pass on the book to another family member or friend for safe keeping. There are additional pages for autographs and special events such as the All Star Game, Home Run Derby and the post season. It's an old school way of relating to people of all ages. In this day and age, we're all consumed by technology day in, day out. 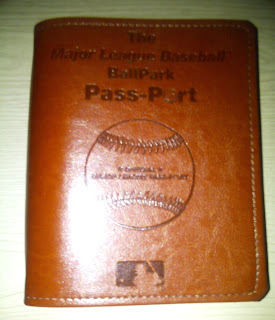 In order to appreciate this great idea, I strongly suggest if you're a baseball fan that you get yourself a ballpark passport book. They're available online for your convenience. Trust me you'll be glad you did. I was skeptical at first too. Once I got the passport book, I've been having fun filling in the pieces. When I got to the All-Star Fan Fest, I came across Tim's booth. As a result, I saw him explain to the people firsthand how his great idea works. I spend a lot of time there getting an education about the product. As a result, I decided to get additional books that are designed for seeing 25 baseball games either on the major league and/or minor league level. There's one for each. They also come equipped with directories of all the teams so you know where they're located if and when you decide to take a road trip to visit family and/or friends. I hope other people will follow my lead and start documenting their future baseball games. As a seasoned veteran of sports travel, I know it's hard to start over for those who've been to all the ballparks already. Life goes on so why not do the same. Get a book and see how much you can fill in. You can always pass it on to someone else to finish it for you.